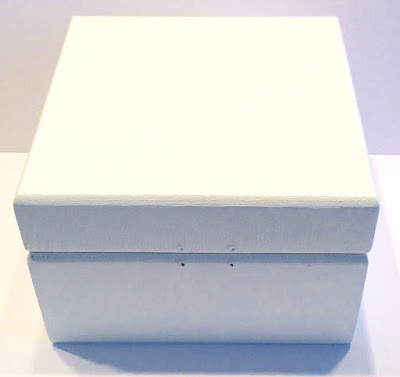 Paint the box using Imagination White Chalk MDF paint, you can use either a brush or a brayer roller and apply 2 coats of paint allowing the paint to dry between coats. You can speed up the drying process by using a heat gun. 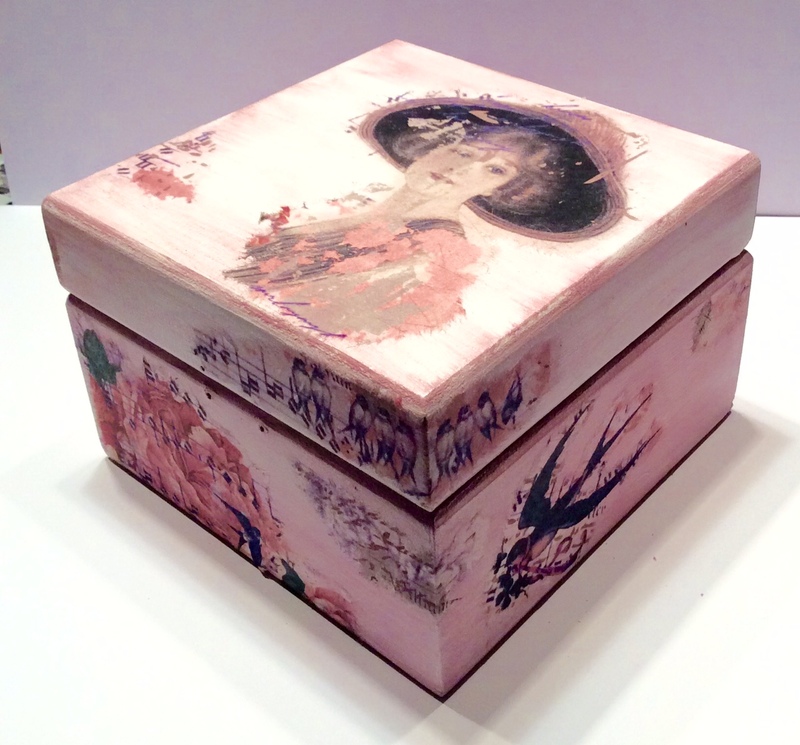 To give the box its soft, vintage feel you need to 'dry brush' small amounts of the soft rose coloured paint onto areas of the box. 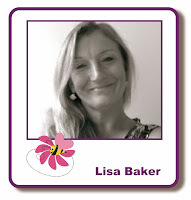 To mix the paint colour put a little of the Pebble Shore on to your non-stick Craft Mat and mix with some of the Dried Rose Starlight paint to achieve a soft chalky pink colour. 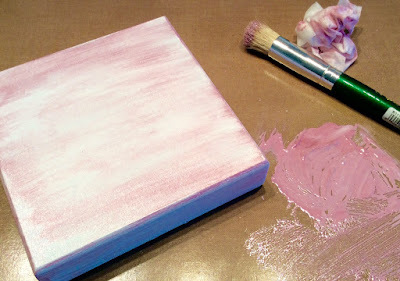 Using a dry paint brush randomly brush the paint over the box as shown in the picture. While the box is drying take your sheet of Rice Paper and using a wet paint brush trace around the images one at a time. 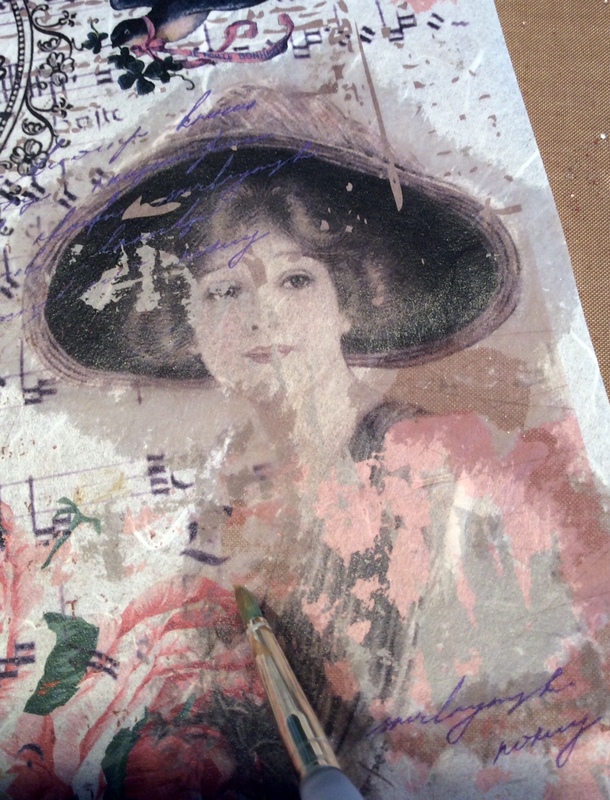 A top tip is to gently pull the edges of the wet paper to separate the images, as shown in the picture. 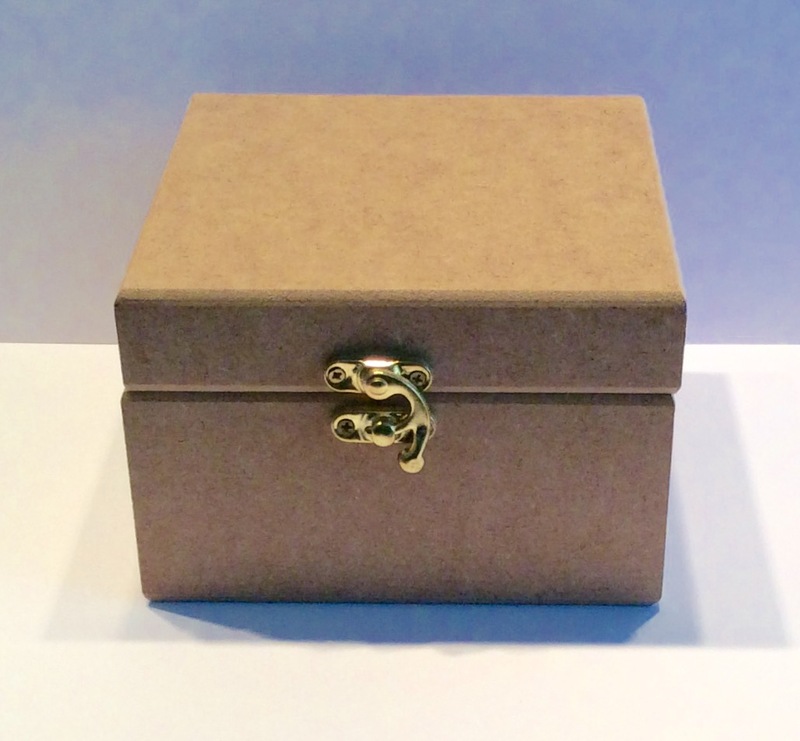 This will give a soft feathery edge to the images giving the look of printed images on the finished box. Decoupage glue is specially designed to be used on all kinds of paper and it is particularly effective on rice paper. To apply the glue to the images place the image face down on the mat and apply the glue generously to the back of the paper. 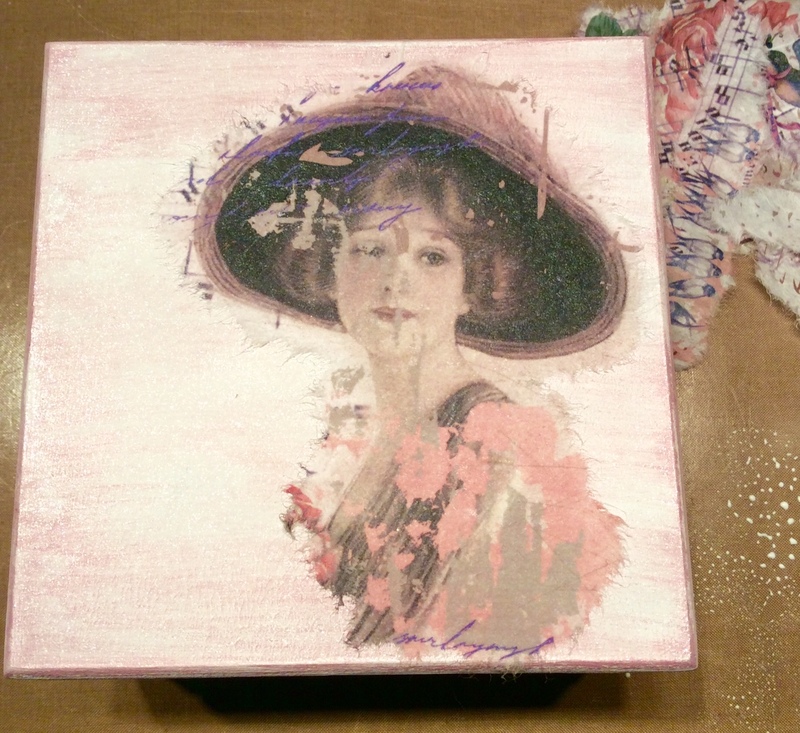 Work on a piece at a time and position the images on the lid and the box as shown in the picture. 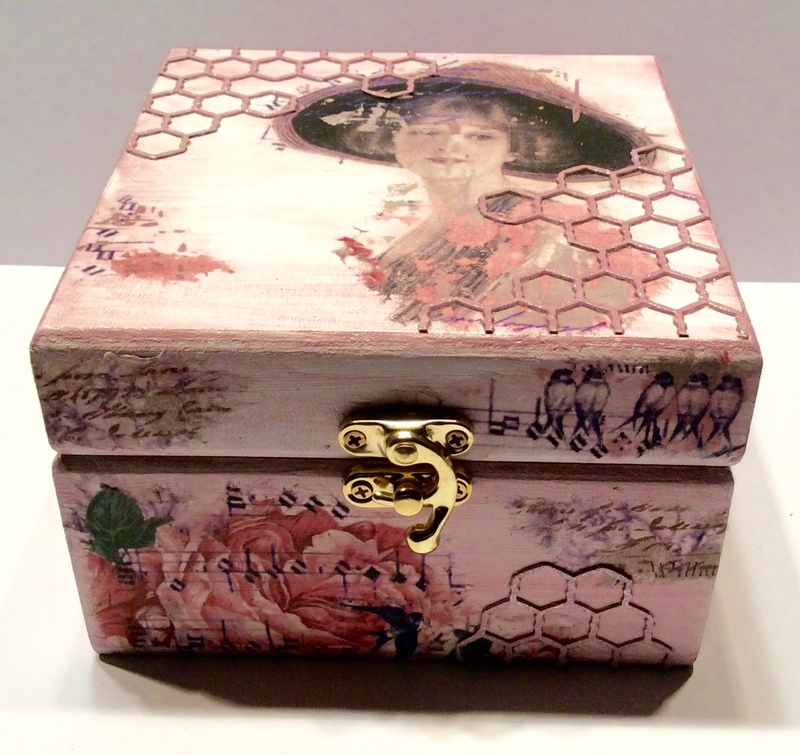 Then carry on adding other rice paper elements around your box. To complete your box and give it a retro, vintage feel use the Art-Cutz to add texture and interest. Art-Cutz are specially designed to take paint, mediums, paste, glue and any other colouring mediums without buckling, stretching or twisting out of shape. If you don't like the colour of your Art-cutz just paint over it to change the colour to something you prefer. 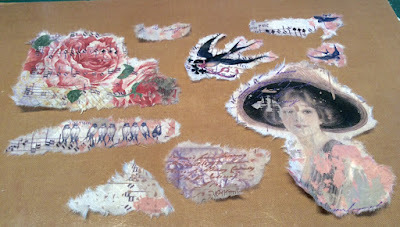 To use your Art-cutz economically for several projects just cut up what you need for your project and put the rest aside to use in another project later. 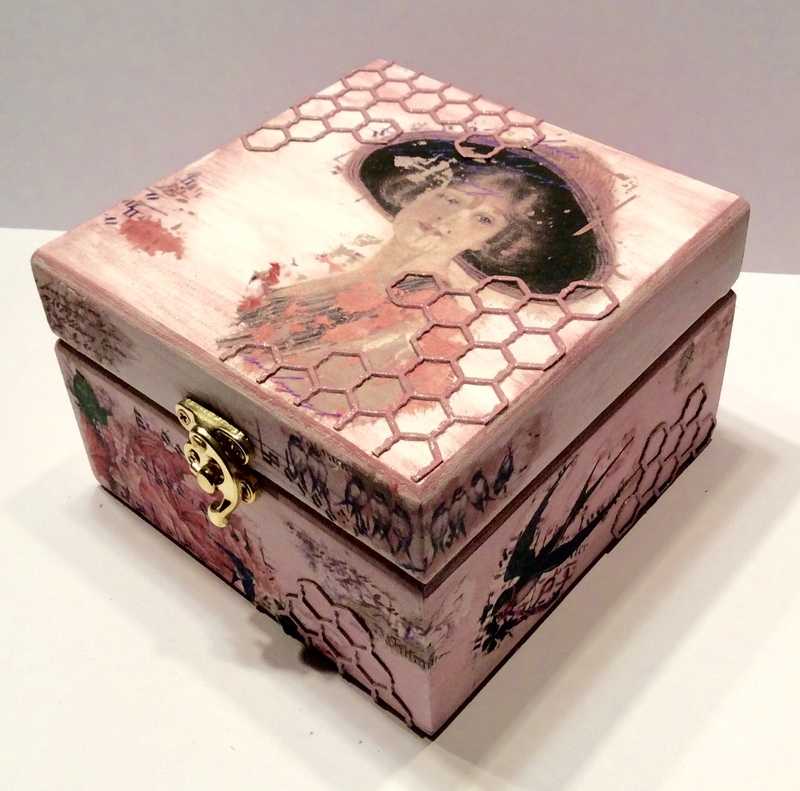 So that the Art-cutz perfectly match your box paint them with the same soft rose colour as before. 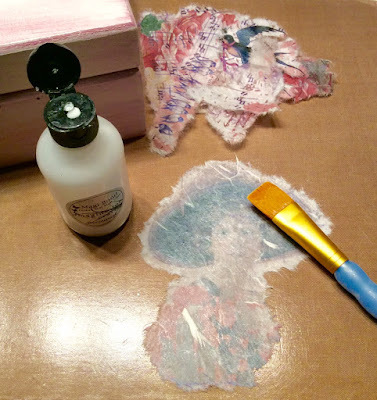 Once they have dried, stick your Art-Cutz to the box with the Cosmic Shimmer Glue. 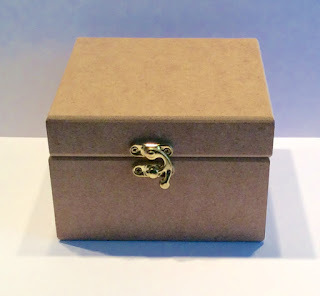 Your box is now finished for you to enjoy! 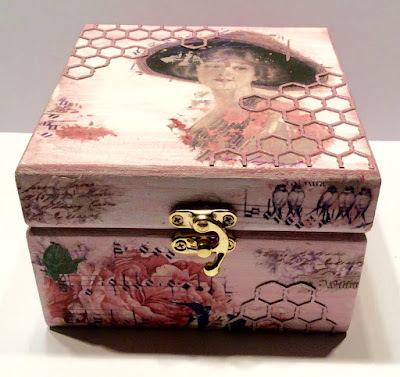 Love your shabby chic meet Vintage box! 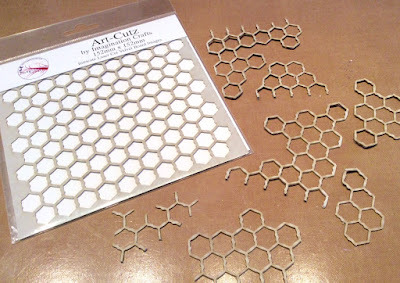 The Art Cutz look very useful, great for Mixed Media projects.